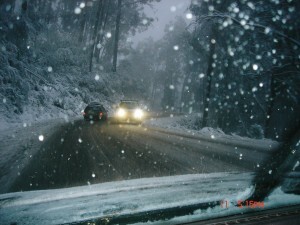 Mt Buller Snow Chain Hire Mansfield. Stocking a range of sizes. Looking for snow chain hire in Mansfield ? Highly qualified staff will ensure the best fit for your vehicle and answer any questions you have about the usage of the snow chains. We stock a large range of wheel chains for hire. Avaliable for sale we have diamond pattern from V2 and Konig. All chains must be tested on vehcles before leaving premisis. Snow chain requirements are decided on a day to day basis and is determined by weather forecasts and existing road conditions. The requirements vary between 2-wheel drive and 4-wheel drive vehicles as well as the all-wheel drive ones. These vehicles act differently on the snow and icy roads. These snow chain requirements are released through the resort management board of Mount Buller. Billboards also post the latest requirements as you enter Mt. Buller area. Call into our store in Mansfield for the latest snow report and chain requirements. Open 7am-7pm. For overnight stays or going beyond the Skating Rink car park area and snowline, the snow chain requirement should be followed at all times. Weather conditions change abruptly on the mountains. There is Mt Buller chain hire available in Mansfield at Ski Chute 4. Dont hesitate to drop us a line about forcast chain regulations. We are informed by 6pm the night before about the following days regulations. 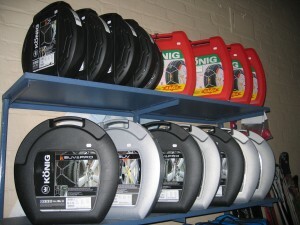 We also stock a wide range of retail snow chains to fit most 2wd & 4wd vehicles .